Probably one of the most famous and most competitive British-born black belts, Oli Geddes can be regularly seen on the mats holding his own against some of the worlds top players. Here at Attack The Back we’re very lucky to be able to sit down wit the Scramble-sponsored athlete and have a chat with him and talk about his BJJ past present and future! I started in 2005, so coming up on 8 and a half years now. I was promoted to black belt by Roger Gracie in December 2011. Basically, I was training a lot of other martial arts, but always felt held back by the lack of sparring. Some kickboxing classes you’d do maybe two or three 2-minute rounds, and even that not every session. So the idea of being able to spar for half an hour a session and test yourself really appealed to me. 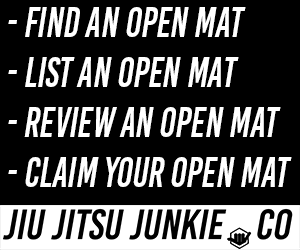 Also the fact that you could shape jiujitsu into anything for anyone, and decide what exactly you wanted to be good at rather than just learning the same set techniques as everyone else and drilling it to exhaustion meant that it appealed on an intellectual level too. I’m not sure if it’s an explosion so much as a continued growth. It’s great to see it springing up in all parts of the country though. Before, there was BJJ in all areas of the country, but you’d have to travel a fair way to get to it, there weren’t a large number of local schools anyone could get to. Now that each of those regional schools has sprung up with its own network of satellite schools, plus other black belts coming in from abroad…it’s great that most people who want to train BJJ can get to a school that’s close by and train, and distance is no longer as much of a deterrent. Take it slow. You have a long time to get good at jiujitsu, and forcing things from day one is more likely to burn you out than not. Train as hard as you can, but don’t spent too much time compare yourself with people who are training three times a day every day. First of all, half the people who say they do that are lying, and second of all, nothing will turn you off jiujitsu (or get you injured) faster than overtraining.